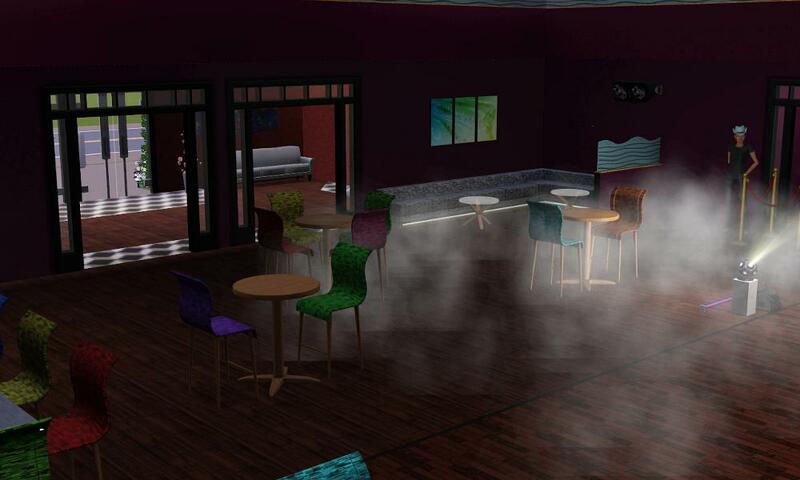 This is the Violet Lounge. 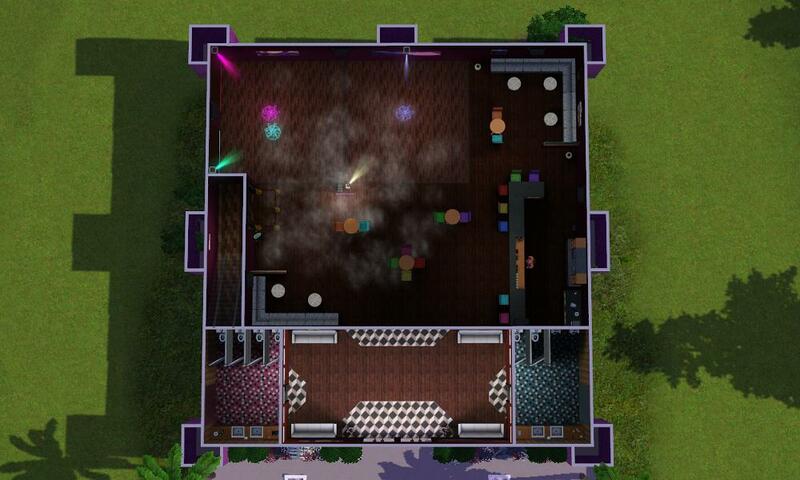 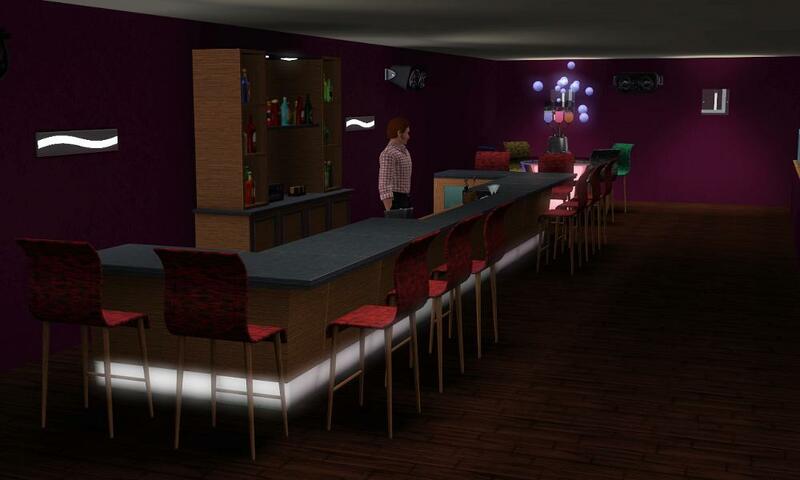 The Violet Lounge is a nightclub, featuring an entrance lobby leading onto the bar and seating area where there is a large dancefloor. 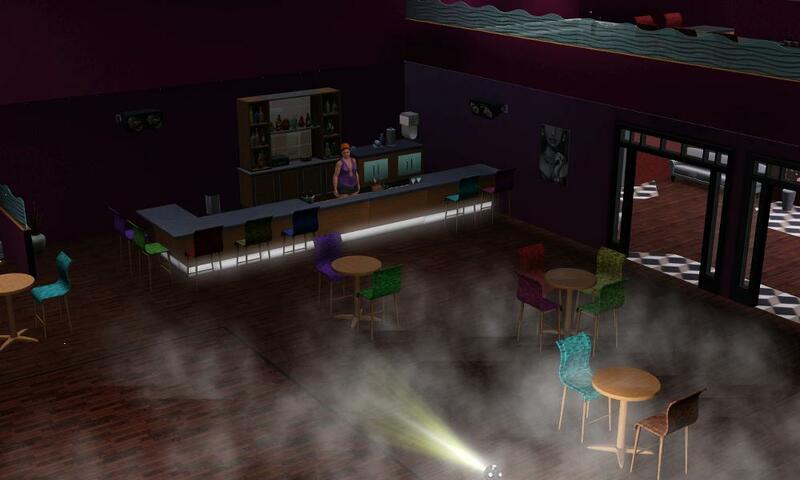 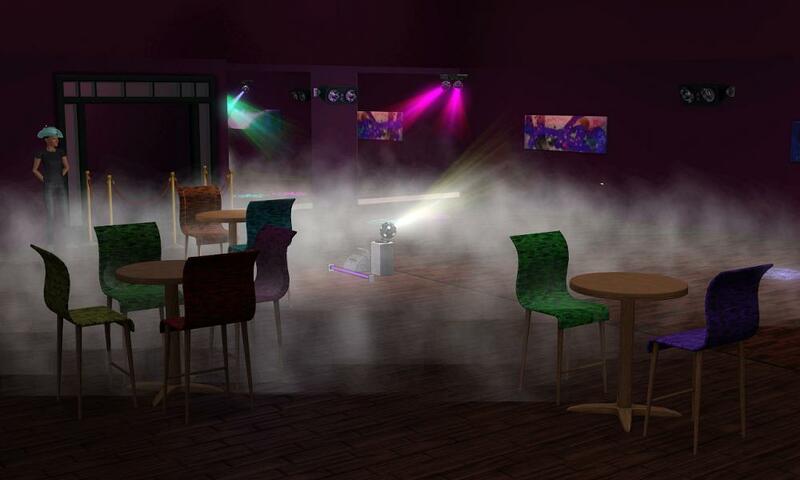 The ground floor of the club is open to anyone, however there is a VIP section upstairs. 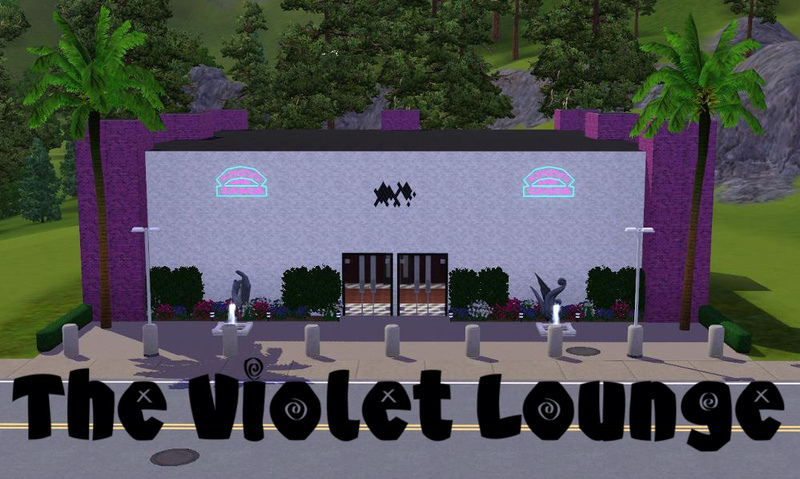 The bouncers at The Violet Lounge do not allow entry into the VIP section to anyone without at least two celebrity stars (but they might be open to bribes!). 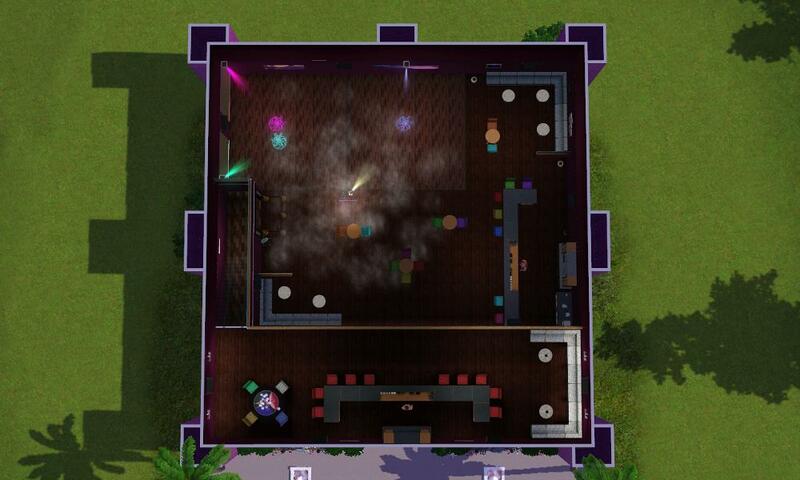 This lot has been playtested and all mixologists and bouncers spawned, the VIP section works correctly and I didn't encounter any problems. 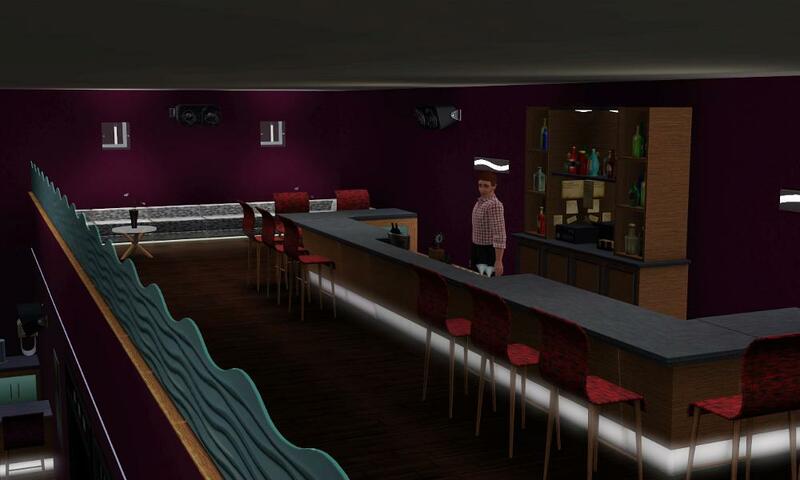 However if you do get any problems please let me know so I can fix it!